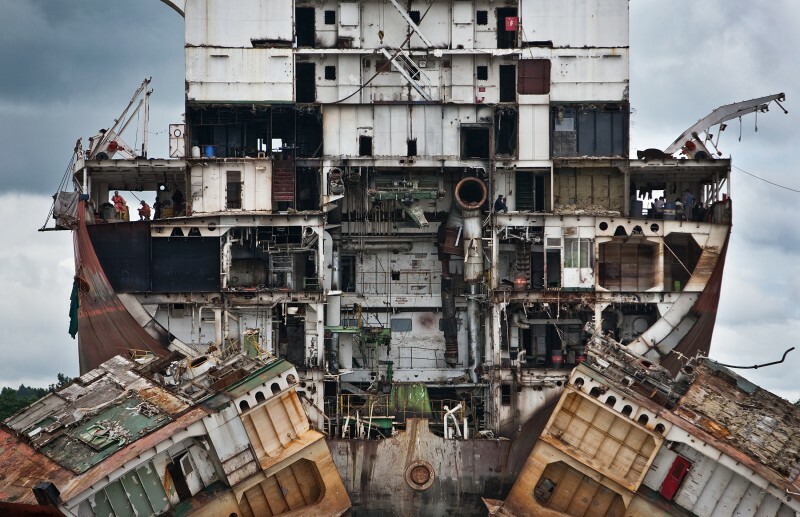 Chittagong in Bangladesh has some of the biggest ship breaking yards in the world, a vast graveyard where ships are taken from all around the world on their last voyage, to be taken apart. Known for unsafe work practices and environmental pollution due to the demolition and ship breaking processes, Chittagong nevertheless represents a mammoth industry and job opportunities for many Bangladeshis. Some 30,000 workers are engaged in ship scrapping along Chittagong’s Sitakunda coast, which houses the world’s second largest ship breaking industry after China. The image was awarded first place in the National Geographic Photo Contest 2010. I was born and raised in the Czech Republic and came to the U.S. nine years ago. I’m freelance photojournalist dedicating my time to international reporting with focus on social issues. I mainly work in South East Asia and contribute my work to publications worldwide. Recent awards include: First place at the National Geographic Photo Contest, Silver at the China International Press Photo Contest, Second Place at the Czech Press Photo National Contest, Gold and Award of Excellence at the College Photographer of The Year, and Grand Prize for Portraiture from Photo District News edu.